On behalf of the 85 million citizens of my country I would like to invite you to visit Egypt. My name is Michael William and I have the pleasure to be the Egyptologist that will accompany you when visiting the beautiful land of Egypt, the cradle of civilization. I am inviting you to visit a land that has an unbroken story of human progress longer than can be traced anywhere else on earth. 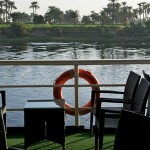 We will take a cruise on the Nile, the longest river in the world (4300 miles) which inspired Herodotus the Greek historian to once say that Egypt is the ‘Gift of the Nile’. 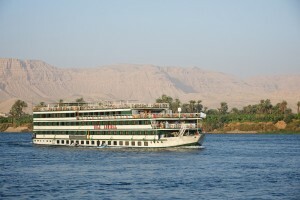 The cruise will start in Luxor, the capital of Egypt in 2000 B.C. I will be taking you to Karnak & Luxor temples which will be one of the highlights of your visit to Egypt. At Karnak we will stand in the great hall, one of the noblest architectural works ever designed and executed by human hands. Comprising of a forest of 134 columns in an area of 5400 square meters, an observer once said that when you enter this hall you feel that you have shrunk to the dimensions of a fly. You will gaze in wonder at the thought of the mighty men who made them. We will also visit Luxor temple that was built mainly by the great Pharaoh Ramses II, where we will see his colossal statues, 15.5m high and made from grey granite. Ramses II lived to the age of 92, startling when we consider at that time the average life expectancy was 35. The ancient Egyptians believed that their life is like the sun rising in the east and setting in the west. Crossing to the west bank of Luxor we will visit the Valley of the Kings. When you enter the tombs you will be amazed at the preservation of the colours, which look as though they could have been painted a few years ago, not the few thousand years ago that they actually were. We will also visit the temple of Hat Shapshut which is integrated in the rocks of the mountain on three terraces. 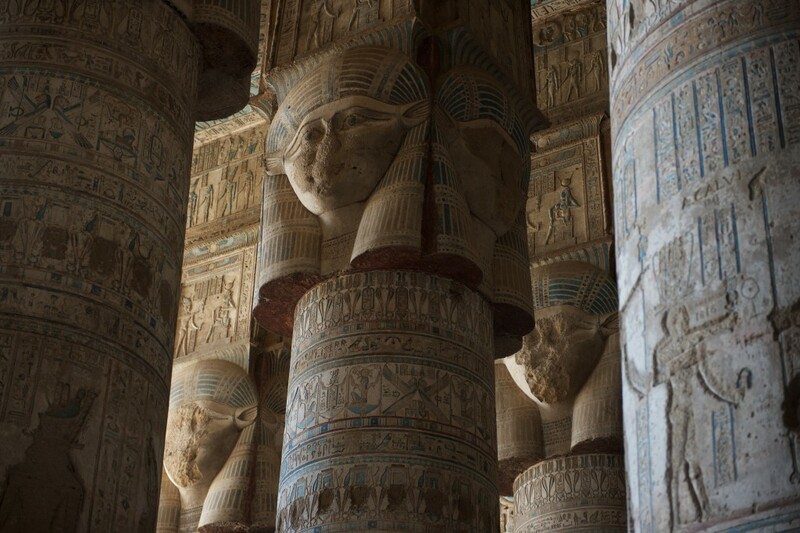 The design is one of genius and without the iconic Pharaonic statues, surprisingly modern in design. On returning to the boat we will set sail and you will have the chance to relax on the deck, basking in the warm sun and watching the beautiful scenery pass by. The boat will proceed through the locks of Esna and continue sailing to Edfu, the temple dedicated to the falcon god Horus. After docking for the night, the next day we will visit this temple, the most preserved temple in Egypt, exceeding any other monument that dates back to the same time in the world. We will continue sailing and the boat will dock in front of the temple of Kom Ombu. In the temple we will see an early calendar and an interesting scene showing some of the surgical instruments used in these days. There is an island facing that temple that was the resting place of the crocodiles after a long journey coming from Africa. In order to avoid being harmed by the crocodiles the people started to worship them under the name Sobek. Once we leave Kom Ombu, the Nile begins to curve and the valley becomes only a line of trees, nearing Aswan the scenery changes from trees and fields, to rocks and mountains as we sail further south into Africa. The sandy banks, the blue colour of the water of the Nile, the clear sky and the rocky islands with palm trees makes Aswan a beautiful picturesque city. In Aswan we will visit the island of Philae that witnessed the immortal love story of Isis and Osiris. We will also visit the high dam, one of the most impressive buildings built in the last century. To enhance your cruise you can visit the two temples of Abu Simble that were carved in the rocks of the mountains 280 K.M south of Aswan. Four colossal statues of Ramses II tower 70 feet high on the impressive façade…these ancient stones speak to us with resonant clear voices, and to understand we must listen attentively and try to capture the spirit of the past. I will help you to interpret these voices, tell you about the spirit and the meaning in addition to the historical facts. The pyramids, the monuments of the Nile, more than 2000 km of sandy beaches along the Mediterranean and the Red Sea, some of the world’s best coral reefs in Sinai, the earliest Christian monasteries, some of the best designed mosques in the Islamic world and kind, hospitable people…..there are many reasons to visit my country Egypt. They say a day is wasted unless a memory is added and I promise when you come you will not waste a minute. -	Accredited international trainer for tourist Guides. -	Representative of the world federation for tourist guide association in the Middle East.